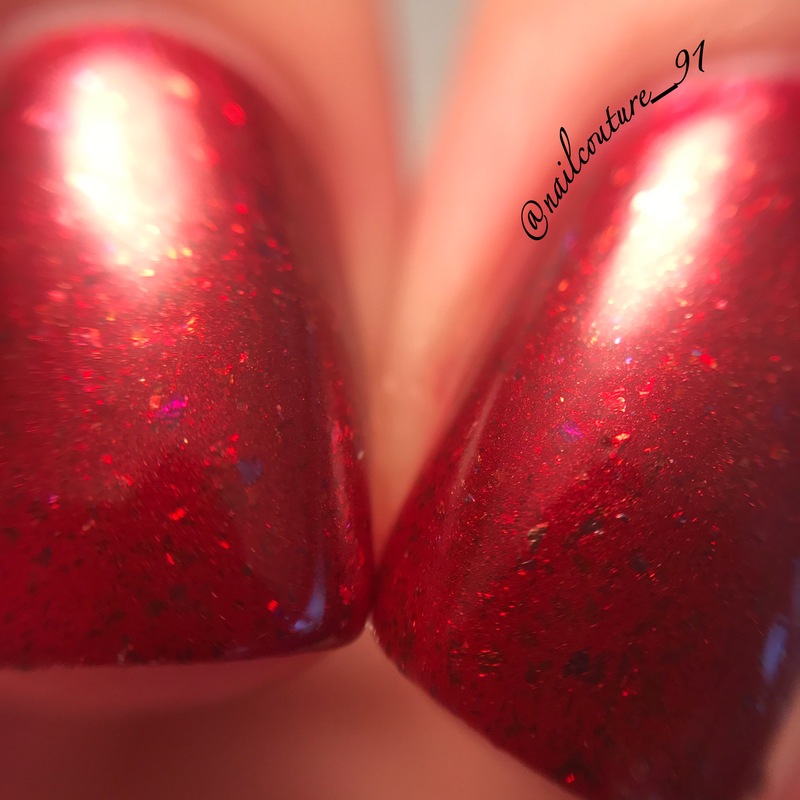 Up next I have the October Fantasy Polish…and let me tell you this…YOU NEED THIS ONE!!! 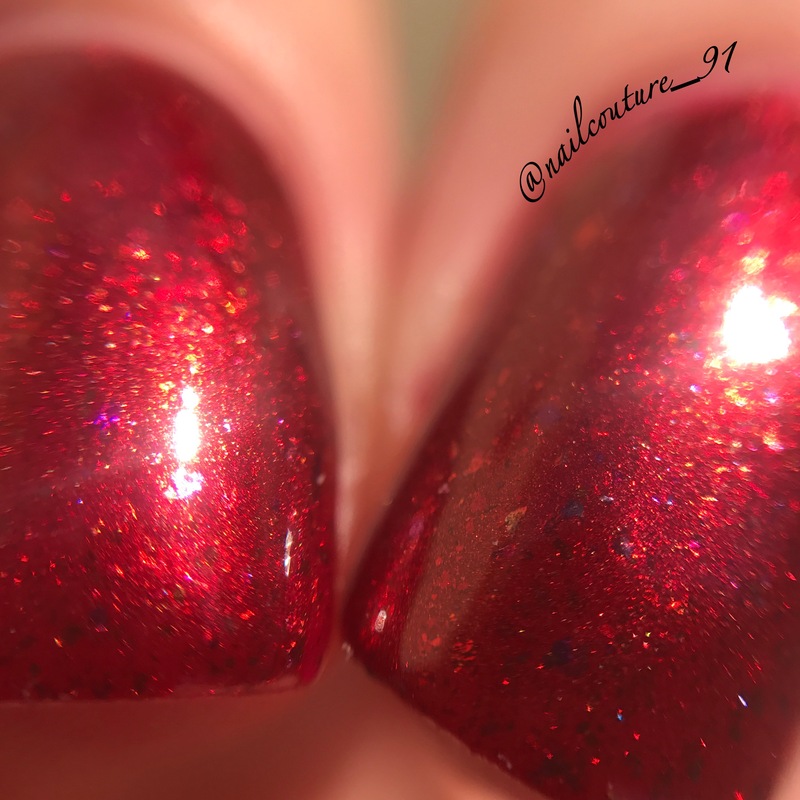 This is such a stunning red and it literally GLOWS in the sunlight! 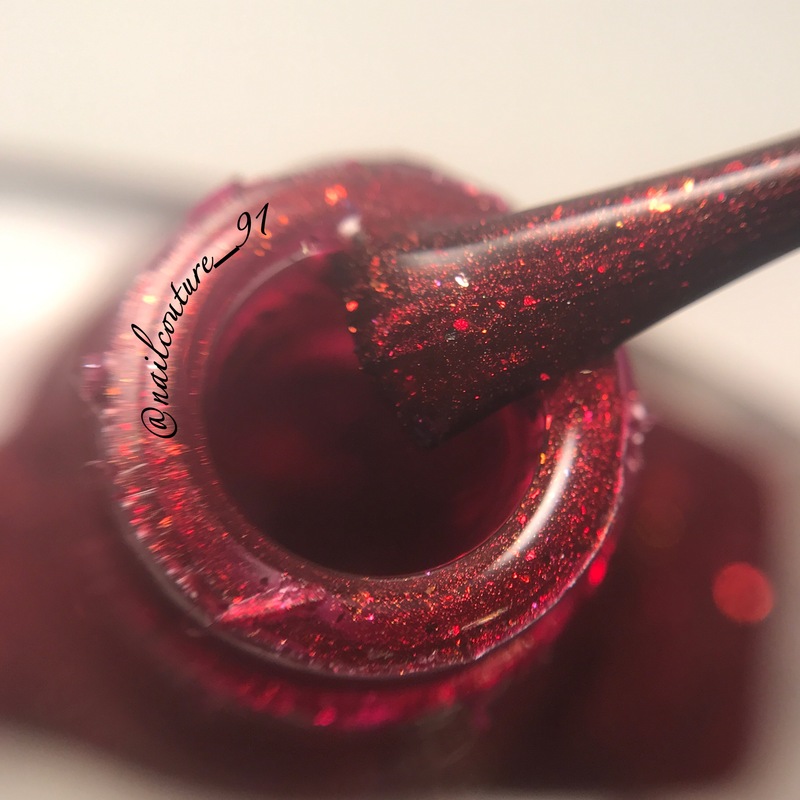 This polish is so complex…it is a deep blood red with gold shimmer, it also has little flakies that shift from red, to copper, and to me they looked almost black sometimes! 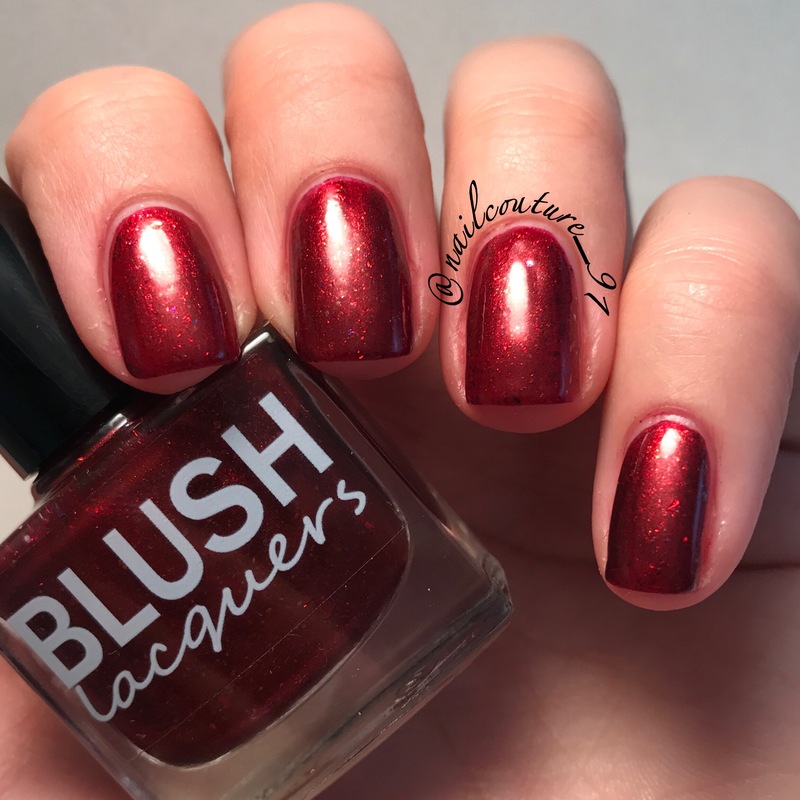 This will definitely be a new favorite polish! Ugh! I just LOVE the flakies!!!! 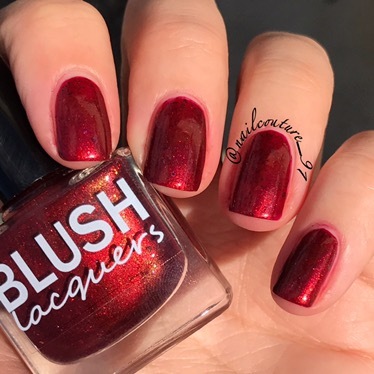 I’m obsessed with flakie polishes! See!!!! I told you this glowed in the sunlight!!! Application was a breeze…it wasn’t too thick and the flakes were dispersed evenly. Removal was easy and there wasn’t any staining. Clean up was easy as well, especially for a red polish! Pictured is two coats and top coat. 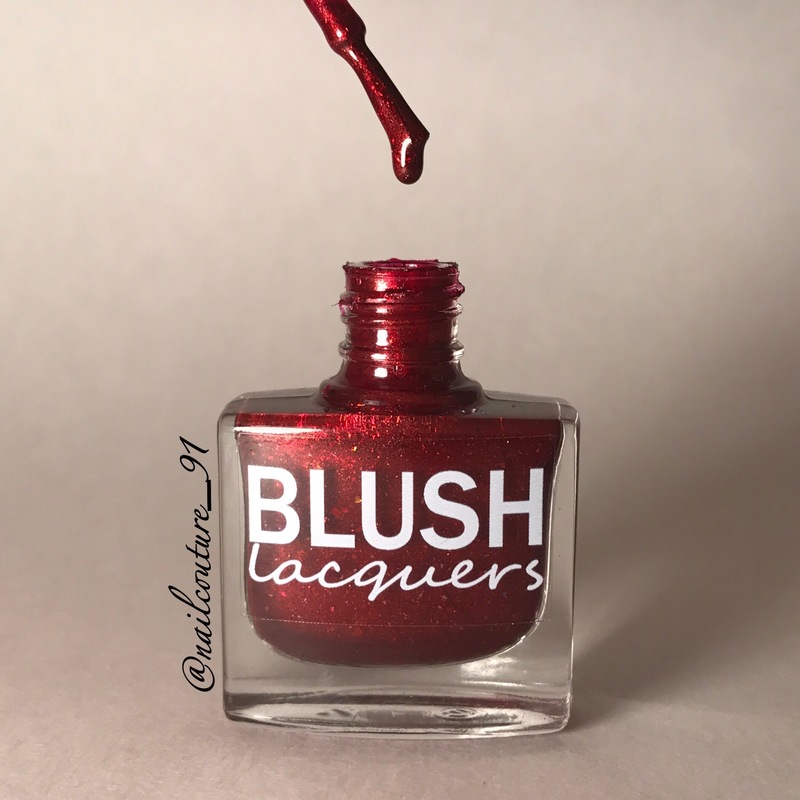 This polish is currently available so make sure you get a bottle! You don’t want to miss out on this one! 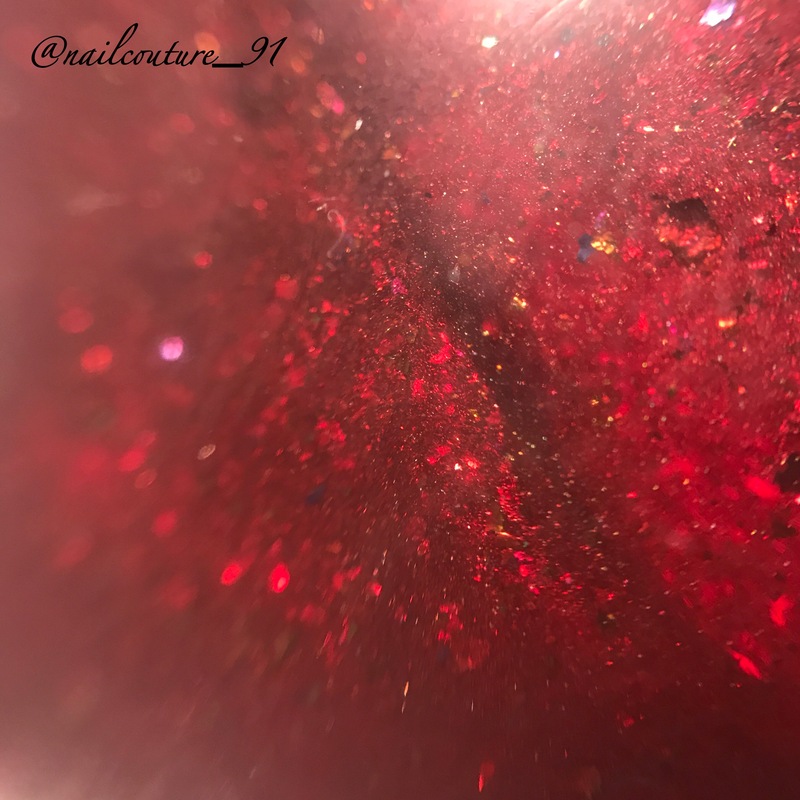 Links are provided below 😊 I hope you enjoyed my review and if you did and want to make sure you don’t miss a post go ahead and sign up to follow me! 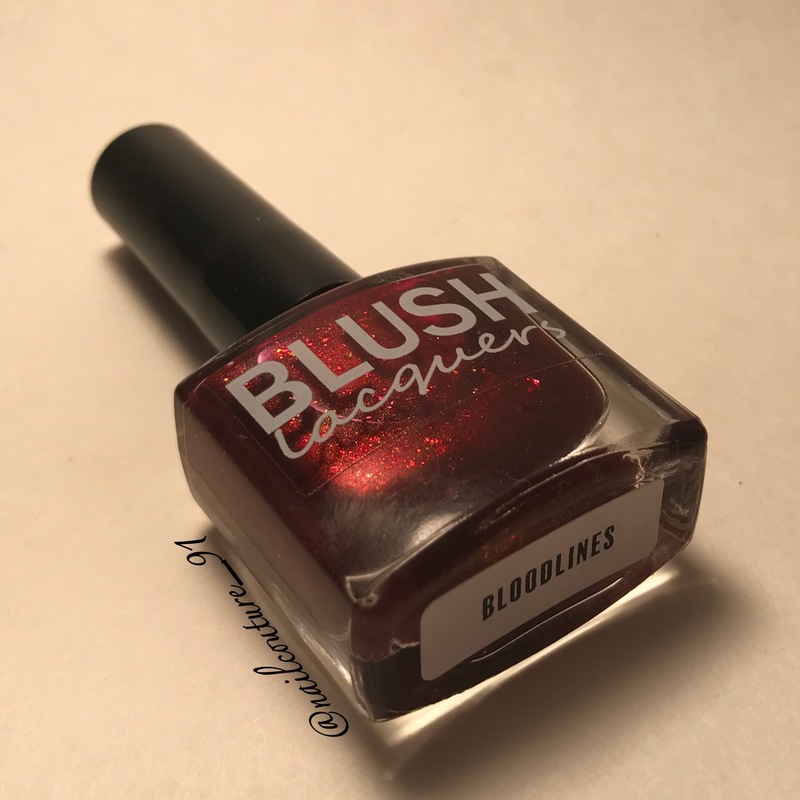 Also make sure you follow Blush Lacquers on Instagram and join their facebook fan page to make sure you don’t miss anything there as well!